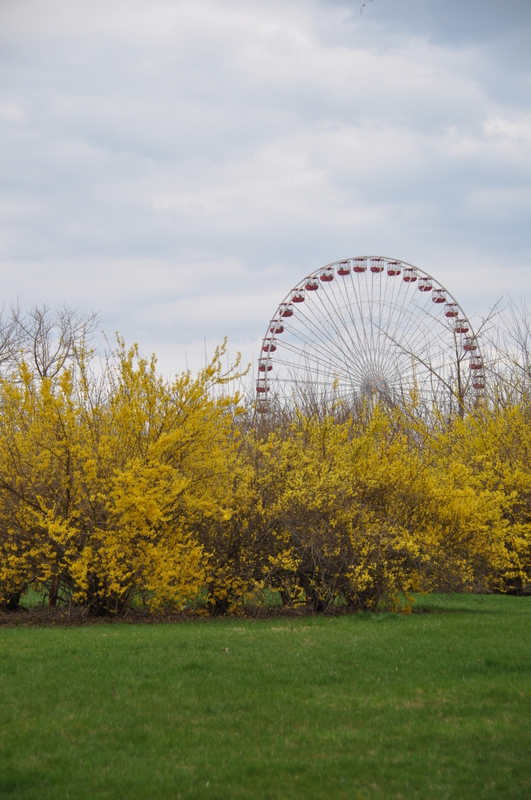 From the Milton L. Olive III Park, here is a photo of the ferris wheel at Navy Pier. The yellow flowering bushes showcase that spring is finally here. This entry was posted in Amusement, Chicago, Life, Parks. Bookmark the permalink.